The natural teeth are always quite precious for everyone that should be protected against all types of injuries. Generally, the sports persons involved in various categories of physical sport activities need to safeguard their teeth by using scientifically manufactured mouth guards. Actually, it is a device intended for protecting the teeth of the user and is temporarily attached over the natural denture to stop any sort of damage to the teeth. These guards are made of flexible materials that are hard enough to prevent injuries, while soft enough to not to hurt the interior parts of the mouth of the wearer. Protects the teeth from injuries: The primary reason for wearing a guard over the mouth is to protect the teeth from untimely breaking on being hurt during sports activity. When the enamel part of a tooth is broken off, the sensitive pulp below it can be exposed, causing immense toothache. However, the soft guard provides a perfect cover over the teeth that absorb all external shocks. Cushions between teeth while grinding: Many people use their teeth too often for grinding hard eatable substances or some people may even clench teeth forcefully during sleep. In both cases, the teeth are likely to be hurt during these times, which can be prevented by cushioning the teeth with the placement of mouth guards. Maintains soundness of facial muscles: These guards are made in such a way that the wearers can bite their foods more easily and keeps the facial muscles in intact conditions, lending more strength to the jaw bones and teeth. Hence, the guards prevent all kinds of damages to the facial joints, which could be caused by the loose facial muscles. Prevents many dental problems: The wearers of these special guards in their mouths can avoid many dental problems and subsequent painful treatments; like root canal, crowning of the teeth and the placement of bridges to hold single artificial denture. The high costs of all these prosthetic dental treatments can be saved as well, by wearing the guards regularly in their mouths. The guards for the mouths are sold in the market and can be availed from the dentists. There are three basic types of mouth guards, based on their manufacturing style and costs. 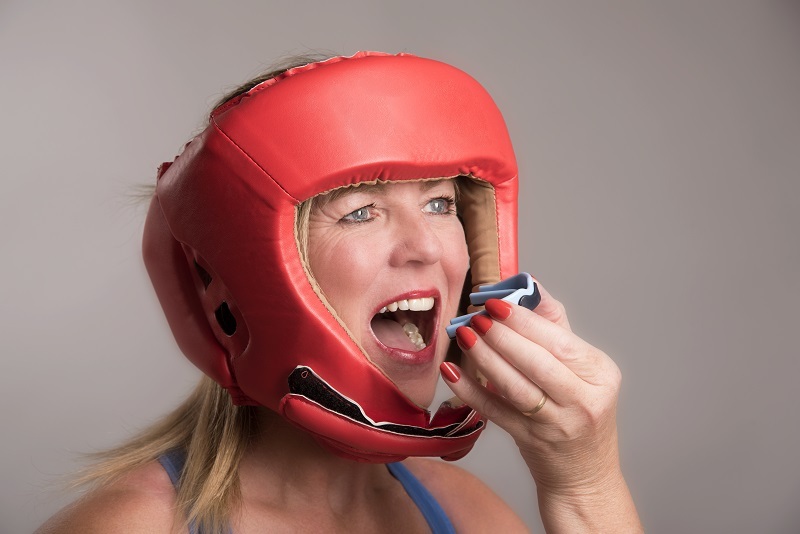 Stock mouth protectors are available readymade in all shops selling sports equipment and the leading pharmacies, for quite a cheap price. Hence, this type of guard is widely used by all the sports people for protecting their teeth while at play. However, it is not possible to make any change in these guards, even if the user feels uncomfortable while wearing it. 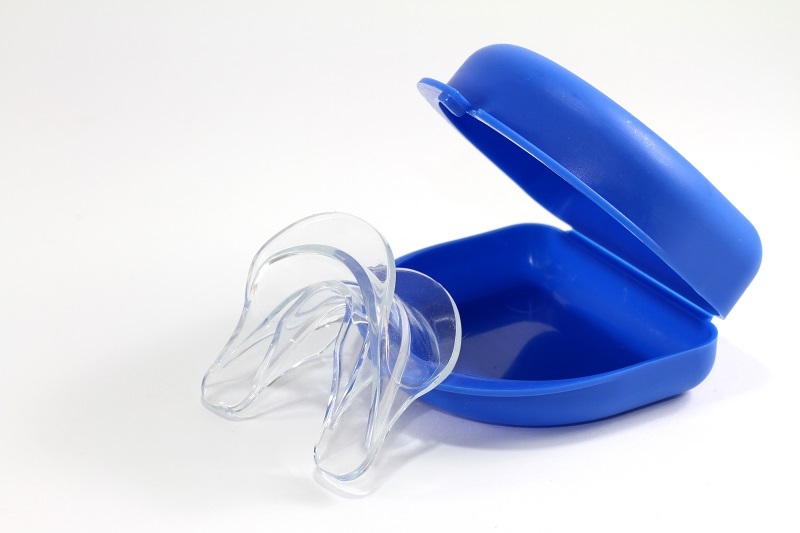 Mouth formed protectors are again categorised into two types, namely Shell liner and Boil and Bite guards. The former one is totally lined with a soft gel or rubber that can be adjusted according to the shape of the mouth of wearer. The second kind is made of a thermoplastic substance that can be reshaped by putting it in warm water. These guards are available in any store selling sport items, but at a higher price than the stock guards. Custom fitted guards can be availed only from a dentist and it is the most comfortable type for any user. The dentist takes measurement of the natural dentures and the mouth cavity, to make the guards in perfect sizes, but at much higher costs. Recommended for you:Has Sports Luxe Transitioned Into The New Smart? The wearers often complain uneasiness while wearing these guards, mainly at the initial stage. However, they acknowledge numerous benefits after using the guard after days.